You get a copy of the graphic novel "Fun Home: A Family Tragicomic," by cartoonist Alison Bechdel. You also get the DVD of the Democracy Now! 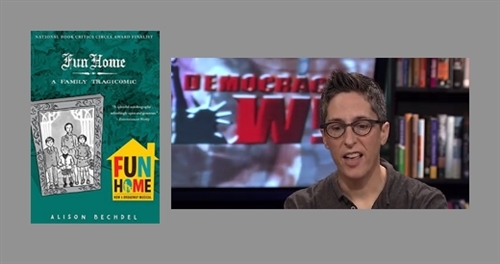 interview with cartoonist Alison Bechdel, lyricist Lisa Kron and composer Jeanine Tesori about "Fun Home," the hit Broadway musical based on Bechdel's graphic novel about family, memory, first love and coming out.